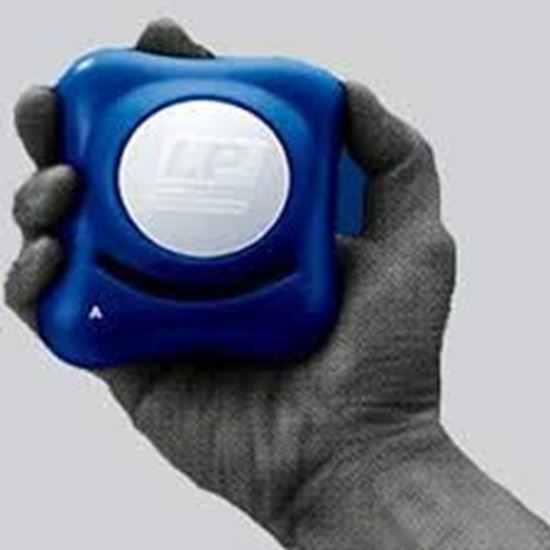 Information about LP #878 Gripbuddy (Size Level 1) LP #878 Gripbuddy is recommended in hand, fingers, and forearms injuries are common among athletes during practices or games, such as basketball, volleyball, tennis, baseball, etc. To help accelerate the recovery process of sports injuries, LP has developed the Gripbuddy rehabilitation programs. Using various exercise programs, users can strengthen the hand muscles for rehabilitation or for performance and endurance training. Application of LP #878 Gripbuddy: 1. Provides progressive resistance throughout the rehabilitation and training process for sports injuries and to enhance performance. 2. The wavy shape and the center chamber conform to the shape of the palm and fit the position of the fingers to make it easier to grip without slipping. 3. Made of 100% Medical Grade Silicone which is oil-based, non-toxic and safe to use. 4. For rehabilitation of sports injuries and muscles training.